Seniors want safe neighborhoods, to be close to shopping and entertainment, and many of the other features that drive younger buyers, but there’s one thing that drive’s Seniors’ housing decisions that doesn’t always appear on younger buyers’ radar: Walkability. Aging in place is a common desire of those who are preparing to downsize from the large family home to a simpler, smaller, dwelling that will support aging in place for many years to come. 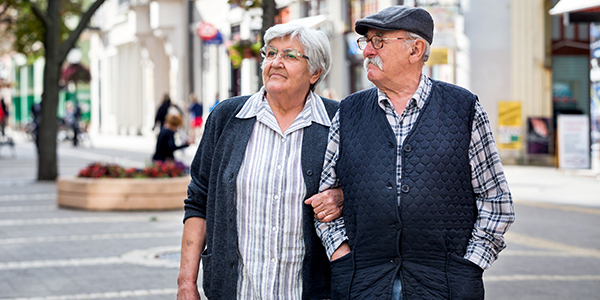 Why is walkability such a big part of what Seniors want for their downsized home? It means an easy, inexpensive way to stay healthy, prolong healthy living, and it means not being forced to consider alternatives when the time comes to put down the car keys. Americans are living longer than ever, with healthier lifestyles meaning that trend may continue. Many Seniors are planning ahead for the time when diminishing eyesight or slowing reflexes mean it’s time to give up the car keys without giving up independent living! Though a desire for walkable neighborhoods is most associated with the millennial generation, walkability and good public transit also are high on boomers’ and seniors’ wish-lists. A recent survey (http://bit.ly/2x5H1K4) by A Place for Mom, illustrates just how important those neighborhood characteristics are to those looking at senior housing. Though things like quality of care services, affordability, and a facility’s cleanliness topped people’s must-have lists, walkability and access to transit also were tremendously important to survey respondents. Among consumers considering their housing options, walkability was described as mandatory or very important to those seeking senior apartments (53%), independent living (38%), and assisted living (26%). Public transit options were also crucial to these groups. As you look at your retirement housing options, especially if you’re a boomer with no physical limitations today, consider the longer term—a time when you may have difficulty getting around and you may no longer have access to a car. Roam around a prospective neighborhood to assess your options for getting around. What places are within a 10-minute walk of your prospective home? Could you reach all the necessities of daily life–the grocery store, parks, hair salons, banks, and so forth—on foot or by public transit? Are sidewalks and paths accessible, safe, and well-lighted? Could you maneuver those sidewalks with a walker or a wheelchair? Are crosswalks well marked and do you have enough time to get across the street? Are there places to sit and rest? Are there water fountains and public restrooms?